Sindhunagar.com - How To Save Electricity Smartly? This is a small effort to Smartly reduce the electricity consumption and Monthly Bill. Rajesh, one of my friend believes he is not rich enough to spend on cheap products & I don't disagree with him. Following writing is proof to show how over the span of time you can save by spending little more in the beginning. By making some minor changes to your electrical system like below, you can save huge electricity, reduce your bill, help City and State. I am sure you're real smart and will read till the end, because money matters to you most. Consume more electricity: Conventional Choke is suppose to give output of 40 watts. 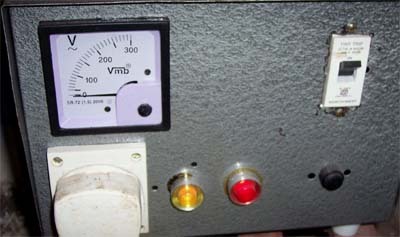 In low voltage its output reduces to 30 to 35 watts. 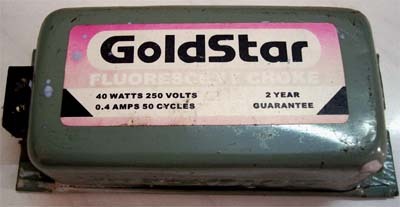 Adding a choke may give output of 60 watts enough to lit tubelight exrabright, but consume more electicity equivalent to two tubelights. Destroy the life of Tubelight: Running the tubelight in this throttle mode will reduce the lift of tubelight. It will be useless in less than year. Risk of overvoltage: In case of any occasional over voltage double chokes may give more than 80 watts to tubelight, which is a big risk and may destroy tubelight starter and choke. Use the new Generation Electronic Choke. Starts instantly, without flickering. press the button and it is illuminated. Since Electronic Chokes don't heat up, your walls are not blackened. It looks clean. Weight of tubelight reduces drastically, which makes easy to carry. This is optimum temperature for Indian Urban Human body to live in. Keeping the AC in this temperature will consume lesser electicity which will reduce your electricity Bill. It is recommended to always buy branded energy efficient Air-conditioner with temperature control. You may save some money on assembled Air-Conditioner, but will pay alot more in electiricity bill during the life of AC. Some of the energy efficient ACs are O-General, National, Blue Star, Hitachi, LG. 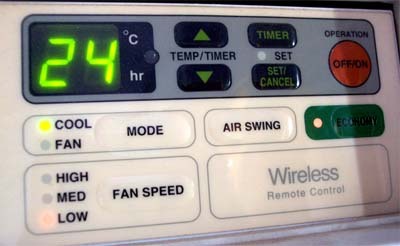 Forcing Air-Conditioner to run on low voltage will decrease its cooling capability and will consume more power. 2KV to 4KV Stabilizer may cost heavy initially, but give you savings over the span of 2 years. Usually the bathrooms and toilets are small and do not need much spread light. 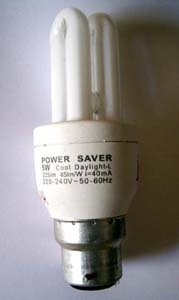 Using 5 watt CFL will reduce the electricity consumption . You may put multiple 5 watt CFLs in different corners for well spread illumination. They may cost high initially, but over the span of 2 years, they give good saving in electricity bill. If you don't find any of these products in your nearby electric shops, please get in touch with Mr. Naresh K. Tell him you're visiting on reference of sindhunagar.com, he won't mind giving you good discount and service when compared to anyone else. Nice tips in energy saving and we should be curios to save max energy.I am using havells Lighting in my home which do help me in saving a lot of electricity.. I really appreciate these article which is helpful to resolve to save electricity problem.